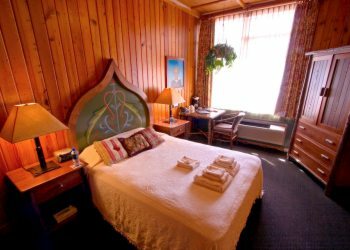 This school offers 19 richly appointed guestrooms and four individual rental cottages with room for 2 to 10 people, perfect for group getaways. Old St. Francis School reopened in its current capacity in November 2004 and we honor the property's former life by featuring extensive artwork that pays homage to the history of the school and the surrounding community. Photos, memorabilia and students' artwork adorn the walls, making the hotel a unique gallery of sorts. Take special note of the colorful orbs that punctuate the high wooden fencing around the property, the unusual custom-made light fixtures and absolutely stunning tile mosaics that surround the soaking pool. 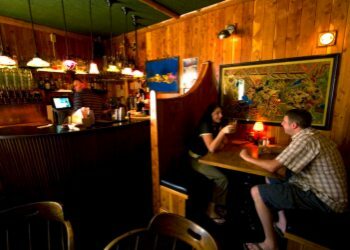 Open daily for breakfast, lunch, and dinner, the pub's deep booths and original artwork make for a comfortable spot to linger over any meal. Set in the former Catholic school's main building, the pub offers hearty pub fare, handcrafted ales brewed right downstairs in the onsite brewery and seasonal weekly specials. 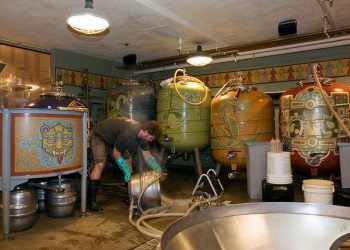 Head Brewer Mike "Curly" White has been the resident brewer here since 2006, and his fine beers such as Father D's K�lsch, Parson Brown & Gunslinger Pale Ale are all proven recipes savored by house regulars and those travelers passing through alike. During the summer months Curly is ably assisted by his unmistakably red-bearded Assistant Brewer Kevin Connell. The Old St. Francis Theater offers pizza, snacks and, of course, popcorn. 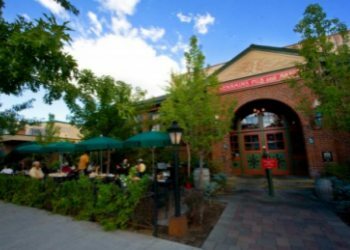 The full-service bar offers a wide variety of liquid refreshments to quench your thirst � including McMenamins own handcrafted ales, wines and spirits. 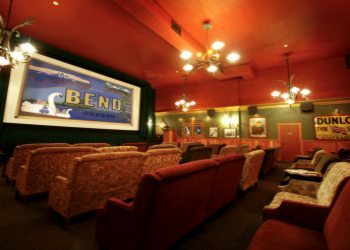 So sit back, relax on our cozy couches and chairs and take in all that the big screen has to offer.